We campaigned, we donated, we did it! The 2017 Sports Kit Appeal goes down in Wallace Group history as the biggest and most successful to date. In just over 30 days, the 7 UK universities and their partner organisations and contacts managed to fill a 40-foot shipping container with thousands and thousands of items, including; clothes, shoes, sports equipment, bikes and even a trampoline! 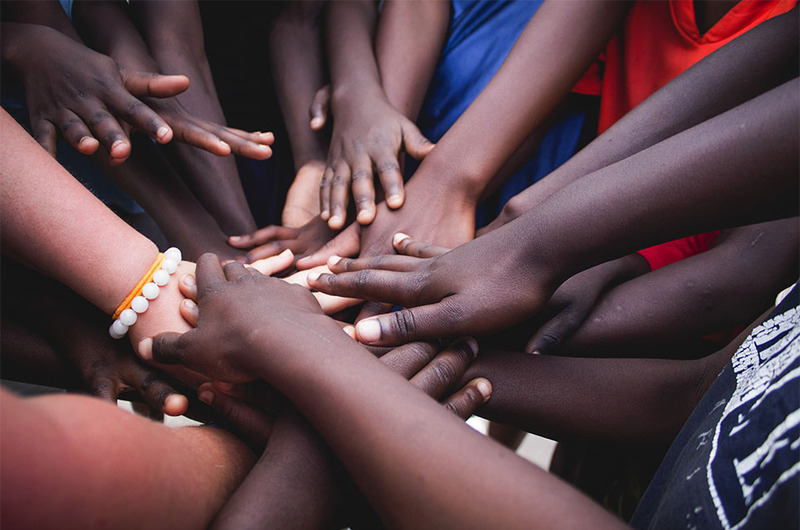 The 2017 kit appeal is part of the wider #Zambia5050 event, which will see Olympian Adam Peaty and GB swimming coach Mel Marshall join our volunteers in Zambia this Summer for 50 hours of sport over 5 days, in the hope of raising £50,000 to support the work of Zambian NGO Sport in Action. During the launch of the #Zambia5050 event in Loughborough it was agreed that a kit appeal had the potential to be huge, but would take a lot of work to be successful. We knew that if the campaign was going to succeed we needed to get some big names and sponsors behind us, and so collectively we set about using all of our contacts across the UK. In the end, the campaign attracted attention and donations from many national governing bodies, including Team GB, British Swimming, British Basketball, England Netball, England Cricket, and Scottish Golf. Campaigns were run at each of the 7 Wallace Group universities across the UK and included trips to local primary and secondary schools, leisure centres and university shops. This proved very successful and saw whole communities, clubs and schools coming together to help out and gather equipment. Whilst delivering an assembly to a primary school in St Andrews I was overwhelmed by the response I got from the children and teachers there. They were all practically jumping out of their seats to ask questions about how they could help contribute to our campaign. The appeal on the ground was accompanied by a strong social media campaign to increase the reach across the UK. One snazzy video and poster later and the internet campaign had begun! Every day my phone was buzzing with notifications from Facebook and Twitter about where and when people could drop off various items of sports equipment and clothing. Weekly Facebook and Twitter posts allowed people to engage with the progress of the campaign as well as see where their kit will be going in Zambia. The campaign was a tribute to what teamwork can achieve when a common goal is put in place. Colleagues from across all 7 partner universities worked solidly on the night of Monday June 19th (deadline day) to ensure all kit was donated, packaged and properly catalogued before being shipped to Zambia. 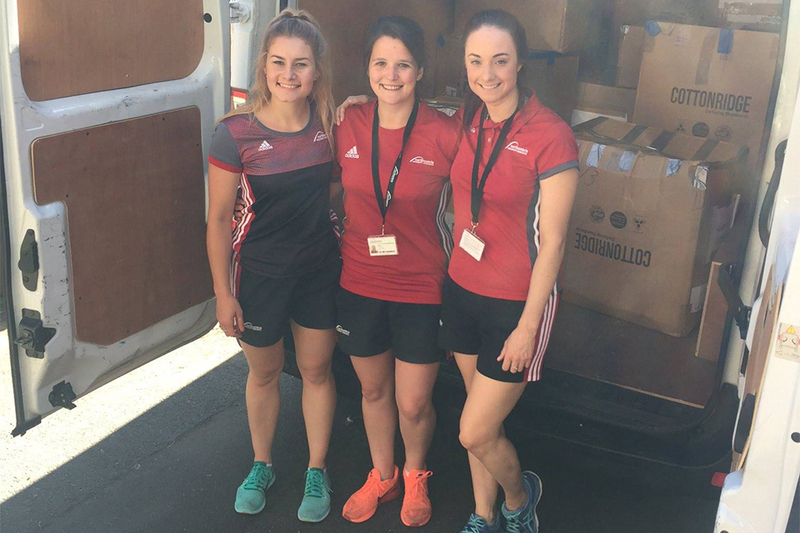 Loughborough University acted as the hub for all kit, with colleagues driving vans full of kit (on the hottest day of the year!) from St Andrews, Stirling, Northumbria, Durham, Bath and Cardiff Met University. In the end, we collected: 2 full size football goals, 270+ boxes of clothes, 2 lacrosse goals, 10 gym mirrors, 2 bikes, 1 tennis net, 2 spin bikes and 1 trampoline. All this kit is set to arrive in Zambia in August and you can follow its progress, from container to each placement, by following the Wallace Group on social media (@WallaceGPZambia). On behalf of the Wallace Group and our Zambian partners Sport in Action, I would like to express a huge THANK YOU to everyone involved in the 2017 Kit Appeal. We couldn’t have done it without you! Thank you! Or rather… Zikomo! International Children’s Peace Prize Nominee and Perfect Day Foundation reporter, Stewart Luunga, interviews World Champion swimmer, Adam Peaty! 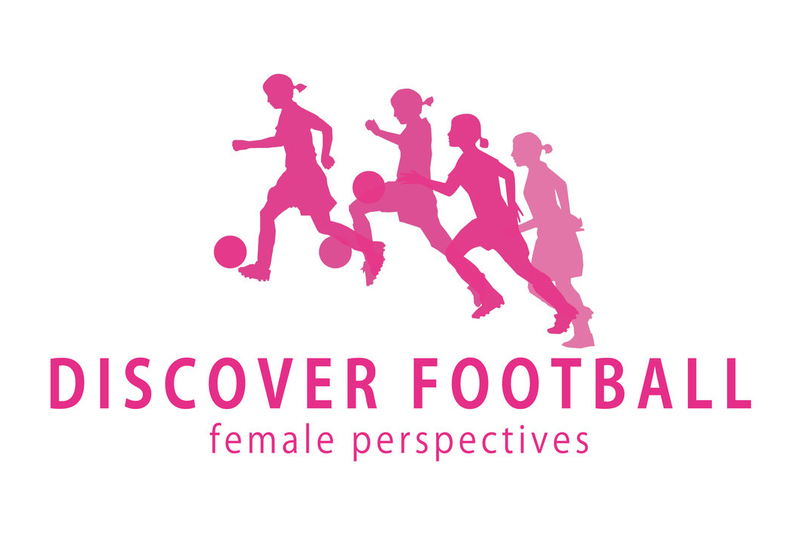 Beauty Siatontola to attend the Discover Football Referees and Coaches Conference 2018. 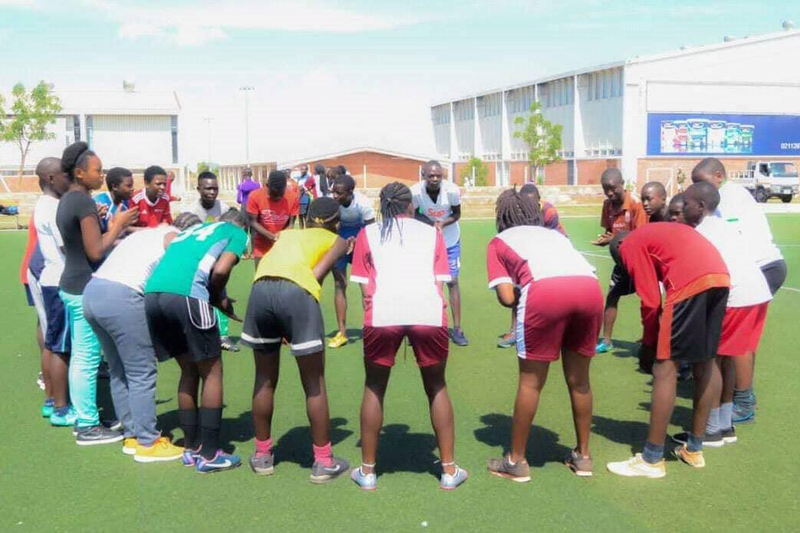 Monze ‘s Sport In Action Volunteer Beauty Siatontola is one of the 15 referees from over 25 countries across the globe chosen to represent Zambia at the discover football referees and coaches conference 2018.